The Sun from its SUNSPOT 1520 erupted on 12 July 2012 to unleash a Huge Flare which is as an X-class the most powerful type this resulted into a wave of plasma called Coronal Mass Ejection (CME) sent toward Earth. i.e A huge cloud of charged solar particles is speeding toward our planet due to SUNSPOT 1520 which erupted with X1.4-class flare. At what time in Indian Standard Time CME is expected to hit Earth? As per revised forecast analysis of Goddard Space Weather Lab have revised the cloud's of CME are expected to arrive at 2:47 p.m. (09:17 UT) on Saturday, July 14th. When was the last time such eruption occured on Sun ? The flare that erupted from 1520 is more powerful than the X1.1 flare that erupted on July 6 from another giant sunspot known as AR1515 last week. What is the size of the Sunspot 1520 ? At what speed is the Plasma is heading towards earth ? As per earlier analysis it suggests the coronal mass ejection sent a wave of plasma toward Earth at a speed of 3.1 million mph (5 million kph or about 1,400 km per second). What can be expected in future ? Sun will reach its peak called Solar Maximum (as part of 11 year cycle) in 2013. So Scientist expect even bigger & many more such eruptions. The current cycle is called Solar Cycle 24. Why is this CME directly heading towards Earth ? Because the sunspot is directly facing Earth, everything about the blast was geoeffective. 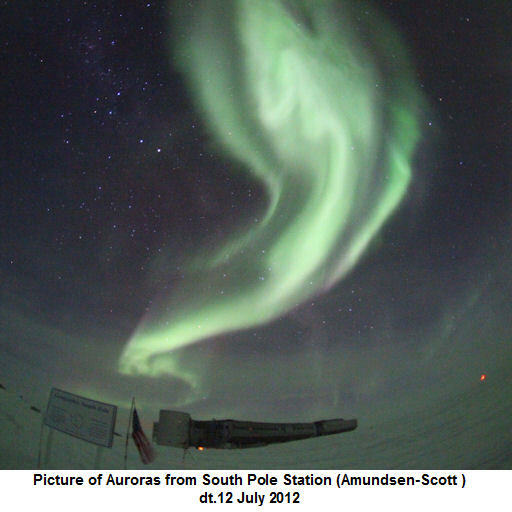 For one thing, it hurled a Coronal Mass Ejection (CME) directly toward our planet. Few source say that due to this Satellite Operations may be potentially affected while tripping alarms on power grids, as well as boosting auroral activity. What are the various categories of Solar Flares ? Scientists classify solar flares according to their x-ray brightness in the wavelength range 1 to 8 Angstroms. X-class flares are big; they are major events that can trigger planet-wide radio blackouts and long-lasting radiation storms. C-class flares are small with few noticeable consequences here on Earth. Further kindly click here to read FAQ'S which were prepared in 2010 . Click here To another article prepared in 2010 August. Here is the Video animation compiled in 2010 which explains how CME starts and hits earth magnetic field.